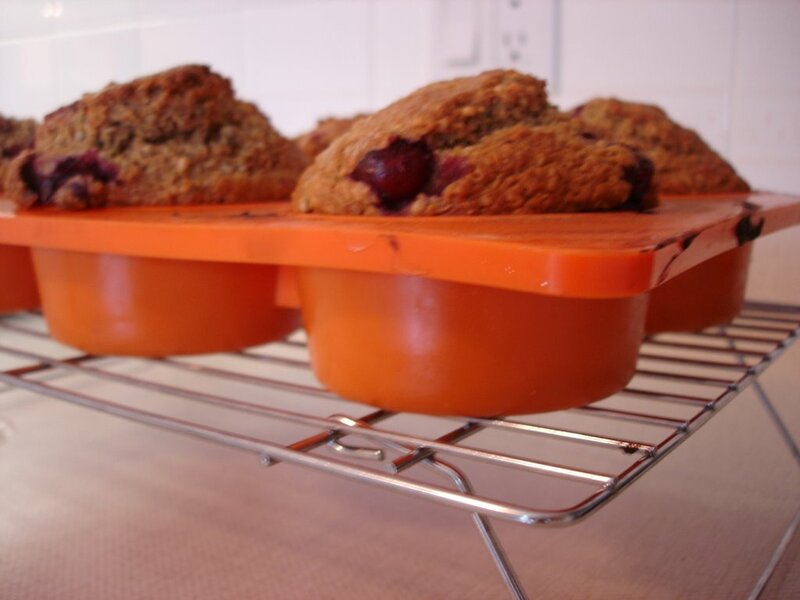 These are Dreena's apple hemp muffins from Vive. I changed them a bit because I didn't have applesauce, just two very sad looking bananas in the fridge, so I mashed them up to replace the applesauce. I also added some cranberries. I was going to add cherries but when I opened the jar I had in the fridge they had gone bad. :-( I love these muffins because they are made with ground oats, whole wheat flour and hemp seed nuts. This is a fantastic combination of fiber and protein. Like other oil seeds, the hemp nut consists mainly of oil (typically 44%), protein (33%) and dietary fiber and other carbohydrates (12%, predominantly from residues of the hull). In addition, the nut contains vitamins (particularly the tocopherols and tocotrienols of the Vitamin E complex), phytosterols and trace minerals. Overall, hemp's main nutritional advantage over other seeds lies in the composition of its oil, i.e. its fatty acid profile, and in its protein which contains all of the essential amino acids in nutritionally significant amounts and in a desirable ratio. Also, these muffins keep me going like nothing else. I had one for breakfast with a green smoothie, I went out and taught one fitness class and one yoga class and I wasn't hungry for lunch until about 2:00 p.m. I kid you not.